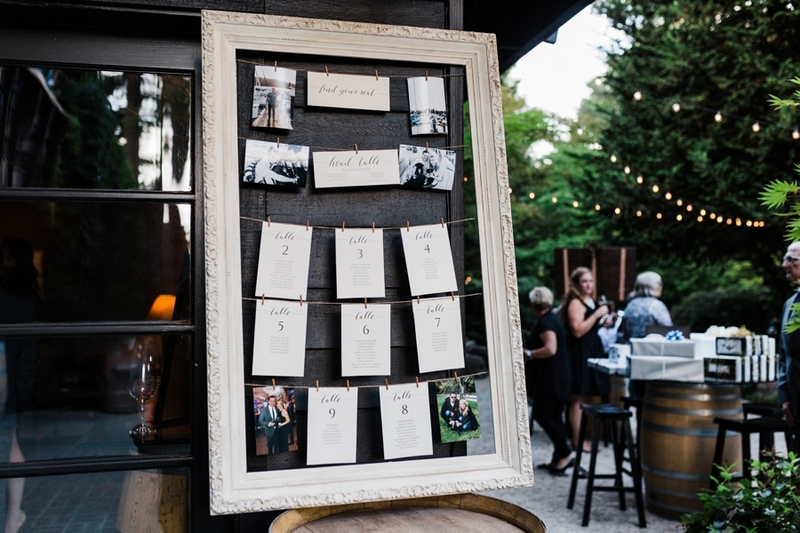 Kyle and Megan knew they wanted a winery wedding at JM Cellars before they even got engaged. 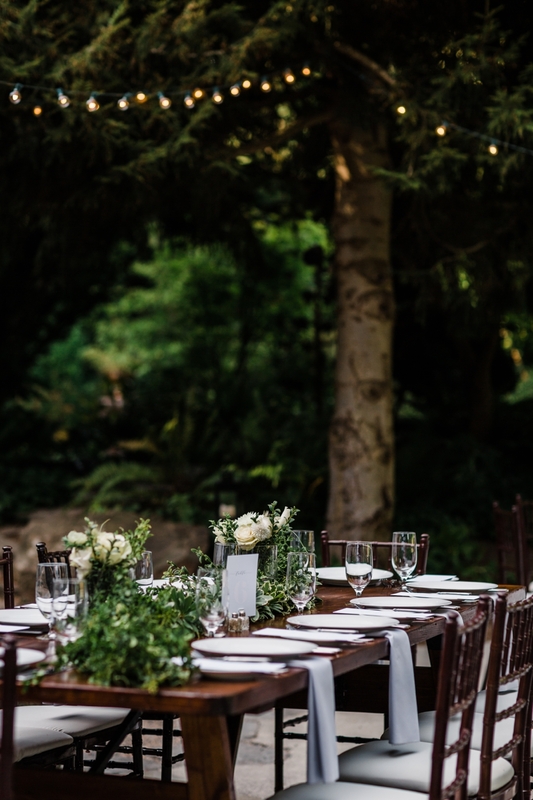 The woodsy setting was the perfect backdrop for them to say “I do” as it reflected their love of the outdoors and the Pacific Northwest. They chose a delicate pale blue color palate, clean florals, and Megan donned a flowing tulle gown. The ceremony was set in the woods, while the reception was an indoor/outdoor space where conversations flowed easily through the open air. Good weather allowed for an outdoor dining experience by candlelight, where guests enjoyed local fare and the the venue’s very own wines.